If you've always wanted a true taste of la dolce vita, this unique and luxurious 12-night holiday is simply unmissable. 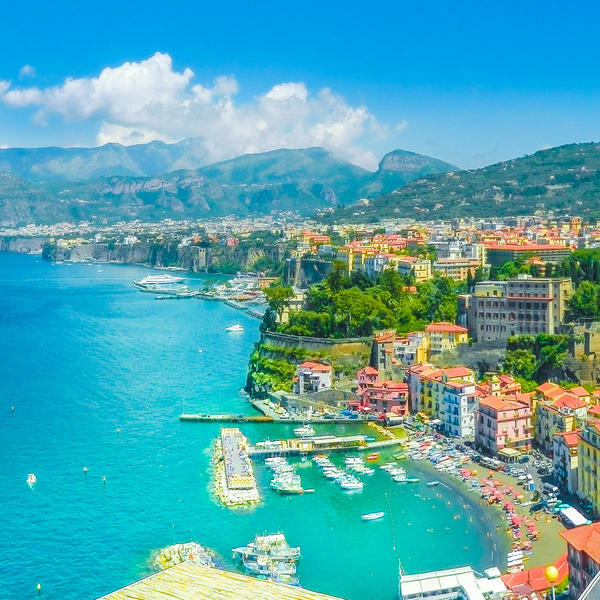 The many highlights of your trip will include a seven-night full-board Mediterranean cruise between Barcelona and Rome, a two-night stay in the Eternal City before a revitalising three-night hotel stay in Sorrento, on the shores of the Amalfi Coast. 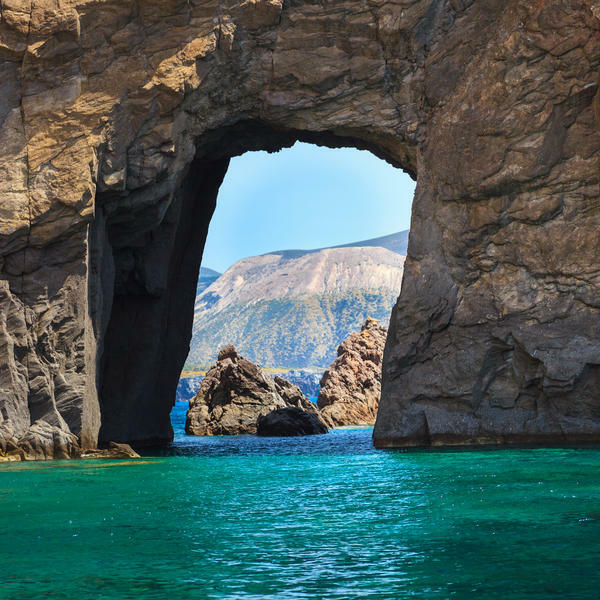 Here you will enjoy a day trip to glamorous Capri and a guided tour of the island and you are but a short drive from historic Pompeii. 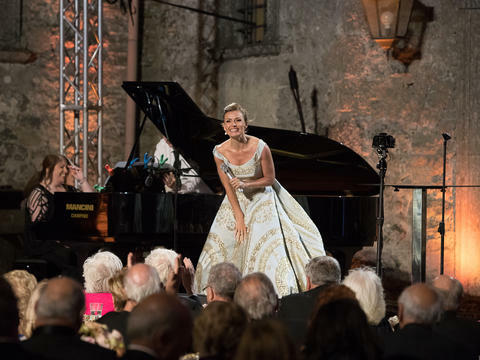 During your two-night stay in Rome you will experience an extraordinary event: a one-off performance by the world-famous classical singer Katherine Jenkins in Castello Odescalchi, an ivy-clad medieval castle on the shores of Lake Bracciano. 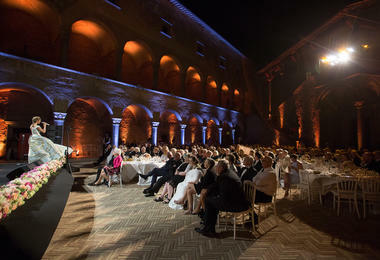 Katherine will perform for you in the intimate surroundings of the castle courtyard, where she'll be joined by Australian tenor Mark Vincent and sing songs from her much-loved repertoire. 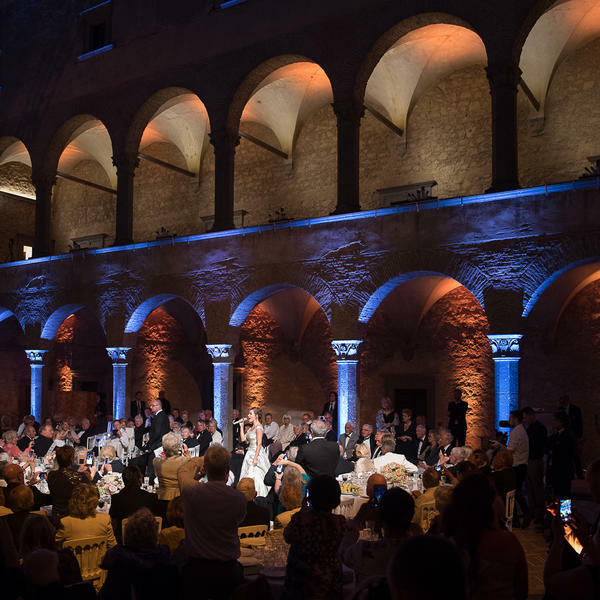 It promises to be an unforgettable performance and a luxurious holiday that you will be talking about with friends and family for years to come. Seven-night full-board cruise on board the Emerald Princess. 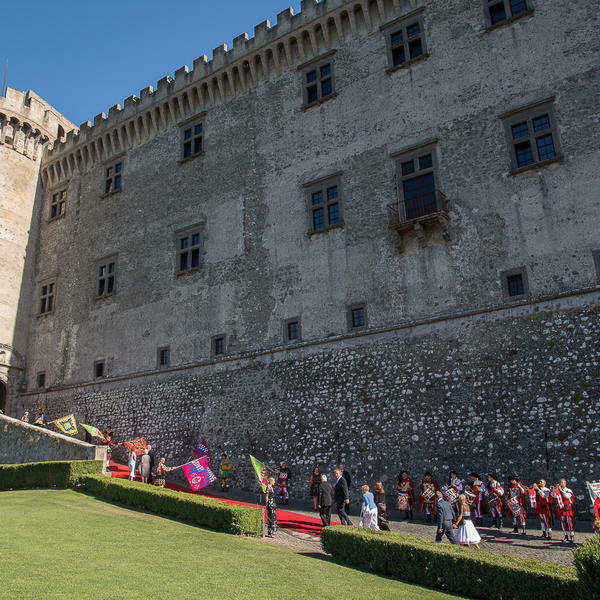 Exclusive event at Castello Odescalchi with drinks and canape reception, as well as a private performance by Katherine Jenkins and Mark Vincent. 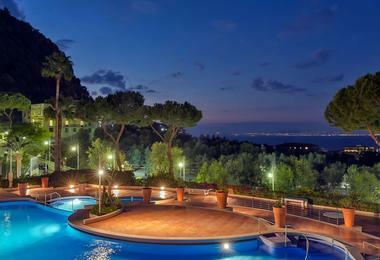 Three-night stay on the Amalfi Coast in the Hilton Sorrento Palace. Full day tour of Capri including return boat trip. * Based on two sharing. Subject to availability. Imagine Cruising is ABTA-bonded and this trip is ATOL-protected. Upon arriving in Barcelona, you will board the fantastic Grade-class cruise ship, Emerald Princess, for a week-long sail through the Mediterranean. 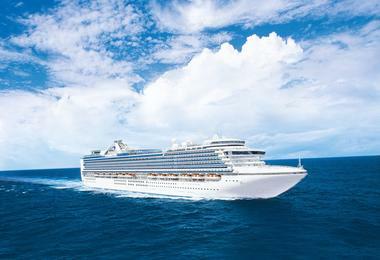 You will spend today aboard Emerald Princess, sailing past the Balearic Islands and towards Gibraltar. 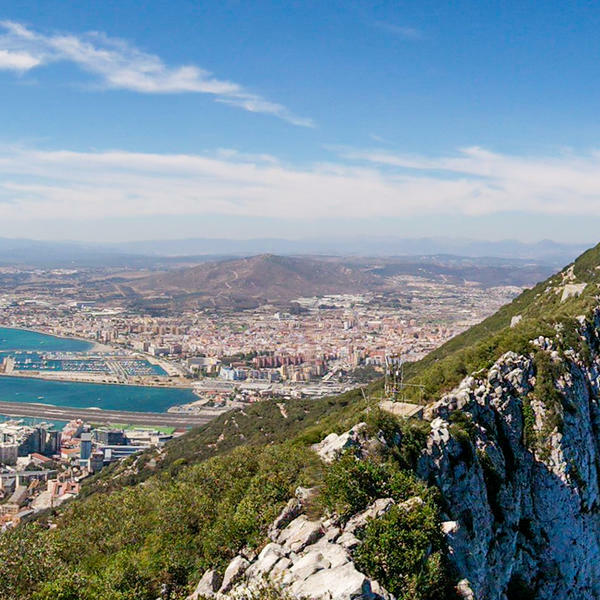 Enjoy a day in the British Territory of Gibraltar, located in the South of the Iberian Peninsula, next to some of Spain's southernmost towns. 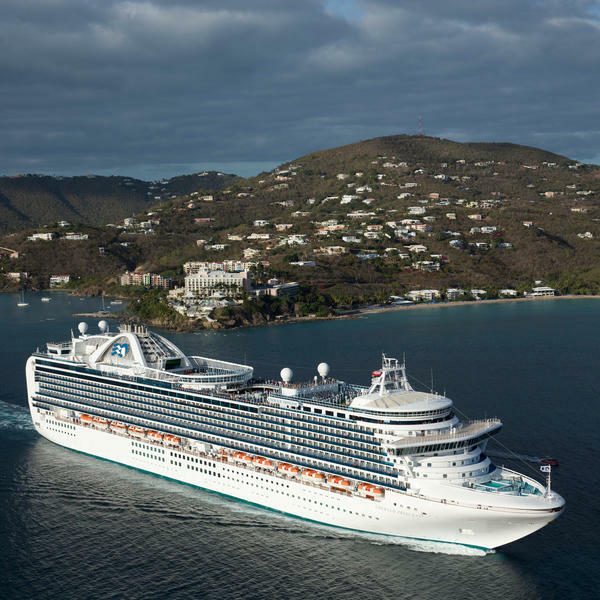 Enjoy a day at sea, taking advantage of the wonderful facilities on board Emerald Princess, such as shopping, pools and hot tubs and the piazza. 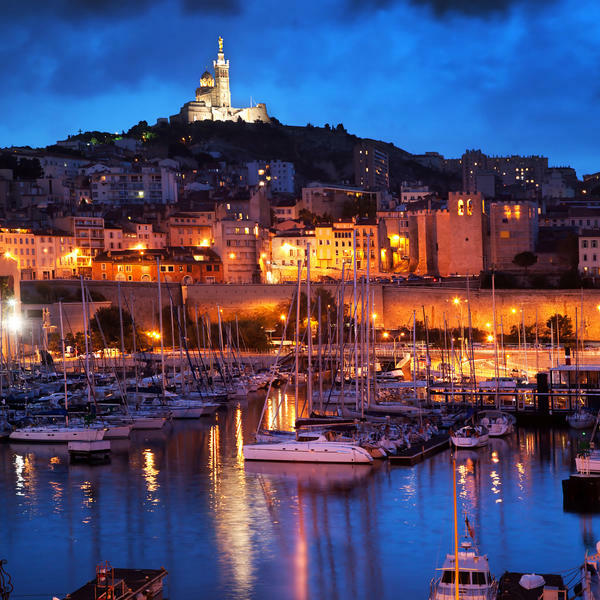 A crossroads of immigration and trade since its founding by the Greeks circa 600 B.C, grit and grandeur come together in the bustling multicultural port town of Marseille. 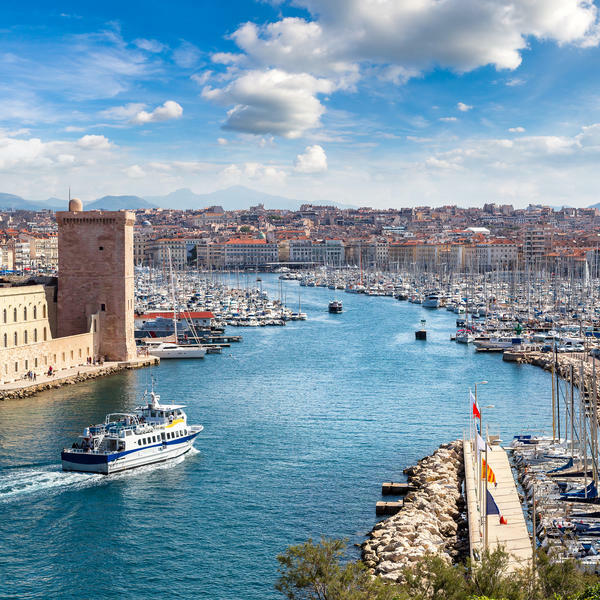 Spend your day visiting fishmongers at the Old Port, get swept up by the Notre-Dame de la Garde basilica, or take a visit to the fascinating Musée des Civilisations de l'Europe et de la Méditerranée. This museum collection is housed in a bold, contemporary building joined by a raised footbridge to the 13th-century Fort St. Jean. 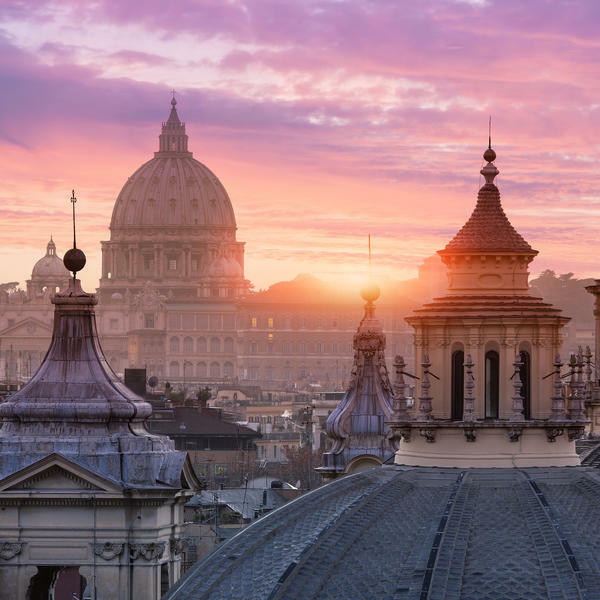 Another trade hub and capital of Italy's Liguria region, Genoa is a picturesque seaside city of historic squares and labyrinth streets. You must try the two dishes it is famous for- its focaccia bread and its pesto sauce. This small, renaissance fishing port contains some unexpected gems, such as the Fortezza Nuova defences - a peaceful green patch in the city centre overlooking the Fossa Reale canal. Following the canal, you could visit the district locally known as "New Venice", try oysters in the port area or seek out the English Cemeteries. Pisa is just 15 minutes by train. 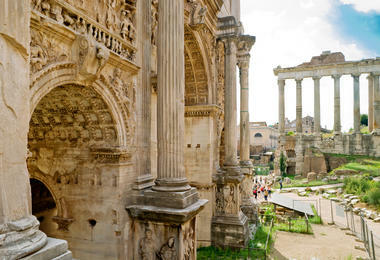 Disembark your home for the last week and set your feet down in the historic, exciting Roma. 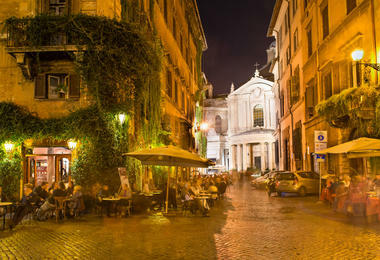 There is a wealth of monuments, museums, squares and churches for you to visit, as well as food to try! 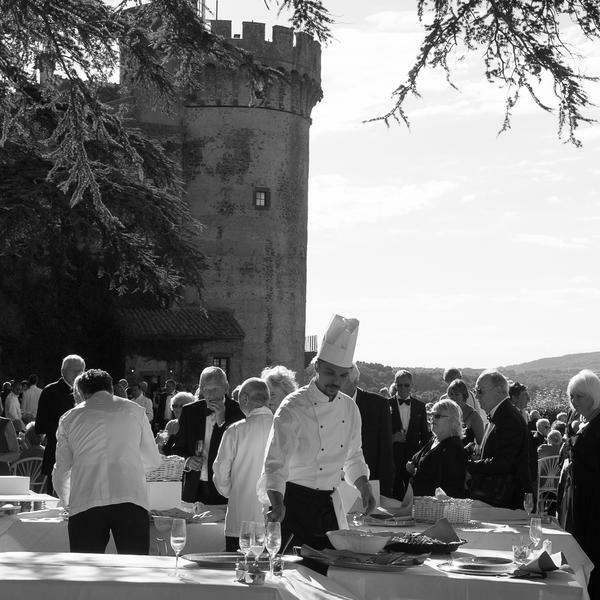 After another day exploring fascinating history, cuisine and culture on the streets of Rome, you will travel to the shores of volcanic Lake Bracianno, to Castello Odescalchi for an exclusive event. 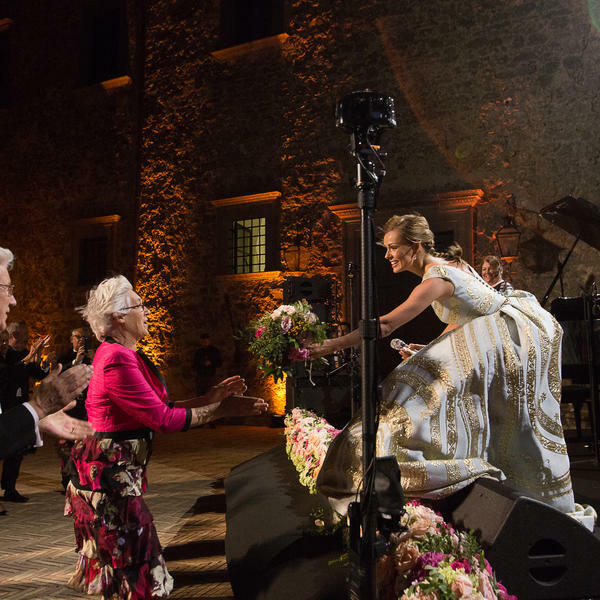 Katherine Jenkins will perform for you under the stars in the intimate and dramatic surroundings of the castle's open air courtyard. Jenkins will be accompanied by Australian tenor, Mark Vincent and will sing songs from her much-loved repertoire. You will be transferred to Sorrento, where you will be staying for the next three nights in the sumptuous four-star Hilton Sorrento Palace. The hotel is a short drive from the ancient Roman city and archaeological site of Pompeii, and boasts views over Mount Vesuvius and the Bay of Naples. 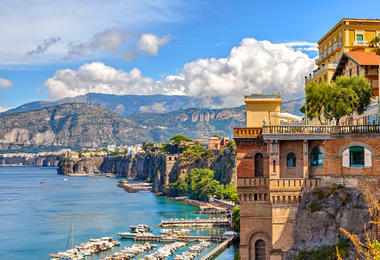 Say goodbye to the shores of Sorrento and return home with fantastic memories. Beautiful landscapes, sparkling pools and leisure activities to keep everyone entertained. With magical views over the Bay of Naples and Mount Vesuvius, the Sorrento Palace lies in the perfect place to take a day trip to Pompeii historical site, whilst also offering complete relaxation while taking in spectacular views. Unwind by the beautiful rooftop pool, breathe in the scent of glorious citrus from nearby groves or savour a cocktail at the poolside bar. 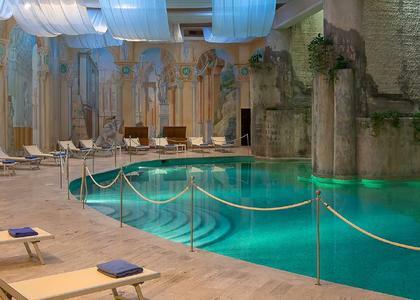 The indoor pool is inspired by traditional Roman Baths: surrounded by tropical plants, marble columns and frescoes. The hotel also offers gym, tennis and family activities.